Venom is the first movie in Sony’s Spider-verse and tells the origin of the titular character. It is directed by Ruben Fleishcer and stars Tom Hardy, Michelle Williams, Riz Ahmed and more. This movie has been getting extremely negative reviews so I was skeptical going into it. This movie is not great but I did have a lot of fun watching it. The best part of the movie is easily the dynamic between Eddie Brock and Venom. I loved the interactions between these characters so much. I thought it was extremely funny and kept me interested in the movie. I thought Tom Hardy was fantastic in both roles. The moment the symbiote was introduced, the movie improved significantly and was actually quite enjoyable from that point onwards. However, the first 30 minutes really dragged. It takes a while for Venom to be introduced and this part of the movie didn’t really work for me at all. I thought it moved really slow and was one of the reasons for the movie’s odd pacing. I can see a lot of people being turned off by the first act and improving this would have made for a more well paced and better movie. The story of this movie also doesn’t really work. It was extremely generic and had nothing unique in it. The dialougue was horribly written and extremely cringeworthy. It reaches a point where it gets so bad that it’s quite funny. There are also so many dumb moments that I won’t get into because some might consider it a spoiler. I genuinely cannot believe that actors like Tom Hardy, Michelle Williams or Riz Ahmed read the script and decided that this would be a good movie. Most of the actors are also completely wasted. Tom Hardy does get a lot to do and shines but I felt that Michelle Williams and Riz Ahmed were wasted and surprisingly poor with the little that they were given. Michelle Williams is normally fantastic but was reduced to a generic love interest. The movie tries to give her something to do in the end but it comes off as extremely forced and unnecessary. I also found her delivery to be a bit weird and thought her character was pretty bland. Then there was Riz Ahmed. He was pretty bad, which is a shame considering how good he is in his other movies. I thought his villain lacked anything that makes a good villain. He didn’t have any charm, he didn’t show any emotion, he wasn’t intimidating. He was just there. Riot isn’t the worst comic book movie villain of all time, but he’s definitely not memorable and Riz Ahmed was very disappointing. There is also this weird arc they do with Riot, where he changes host multiple times and I personally thought it was absolutely stupid. It added nothing to the story at all and honestly wasn’t even remotely interesting. I don’t know what the writers were thinking when they wrote this arc. Riot and Venom obviously have a fight scene towards the end and honestly, it was poorly constructed. It was shot in a dark location and it was hard to differentiate between the symbiotes during the action. The CGI was also weak here, which is a shame considering how it is mostly really good. The action is also normally good. The chase scene towards the end of the first act was super entertaining to watch and the suit reveal was fantastic. There is also a really good action scene in the middle of the second act. I may be wrong but I think they released this one online. 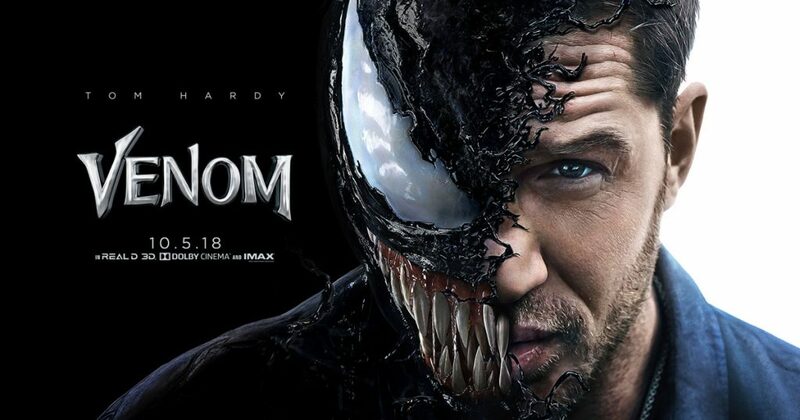 But, I do feel that the action would have been better if it was R. A lot of the time, instead of actually showing Venom eat the head we see the reaction nearby people have. Although it would have improved the action, I don’t think that the movie would have been improved. This movie is also surprisingly funny. Even though a lot of it may not be intentional, I laughed several times and had a fun time. There is also a Stan Lee cameo that is pretty great. The second post-credit scene is also super entertaining and teased a future Sony project that I am pumped for. However, the first post-credit scene is awful. It has one of the worst wigs in cinematic history and extremely cringey dialouge. It teases a villain for the sequel and I hope they handle him better in that movie than they did in this scene because I was not impressed. Overall, Venom was an extremely flawed movie. Yet, it was still pretty fun as most of the action was great and the interactions between Eddie and Venom were very entertaining. I’m going to give Venom a C-.